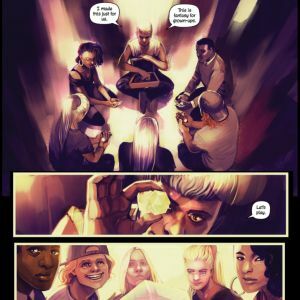 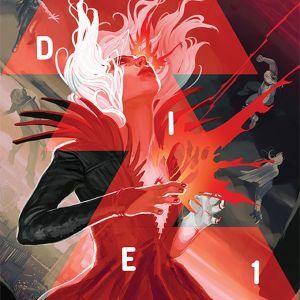 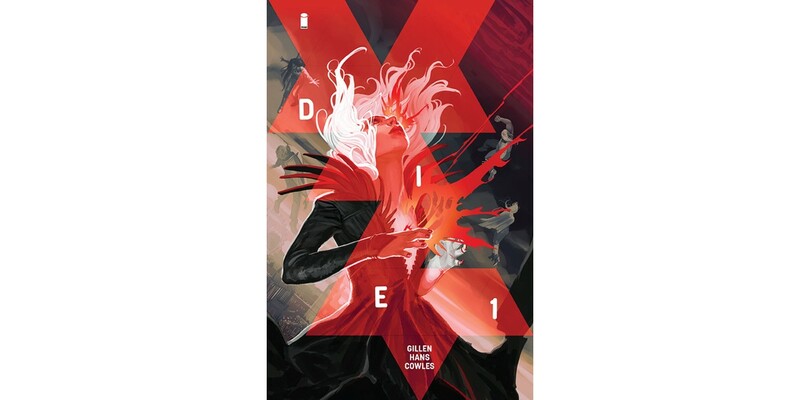 PORTLAND, OR, 9/12/2018 — Writer and co-creator of bestselling and Eisner Award-nominated THE WICKED + THE DIVINE, Kieron Gillen teams up with highly sought-after artist Stephanie Hans in an all-new, ongoing series titled DIE. 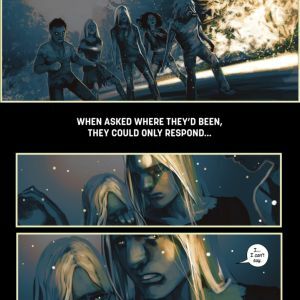 The series will launch with an oversized debut issue from Image Comics this December. 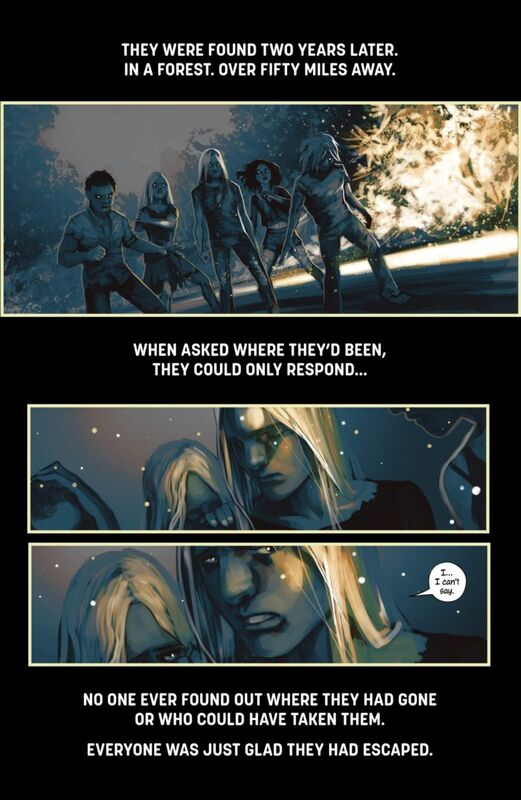 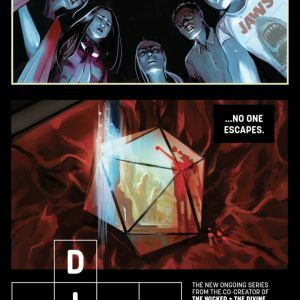 DIE is a pitch-black fantasy where a group of adults have to deal with the returning unearthly horror they barely survived as teenage role-players. 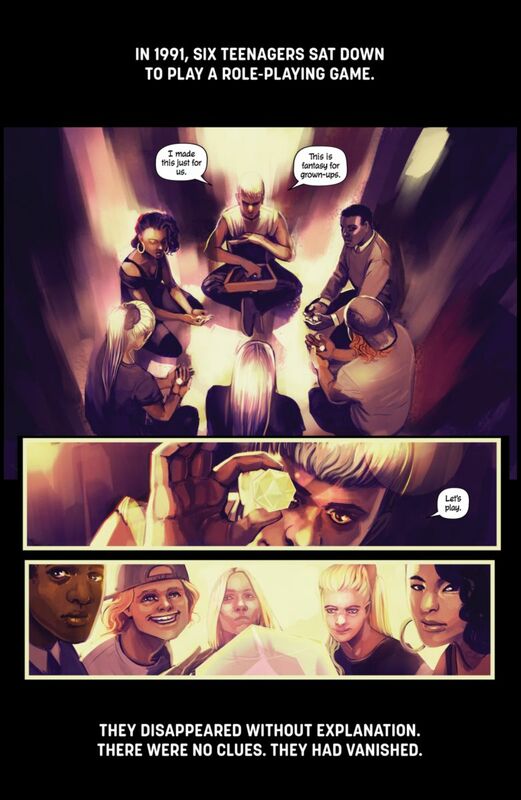 Perfect for fans of THE WICKED + THE DIVINE’s urban fantasy, DIE can best be described as Jumanji with goth sensibilities. 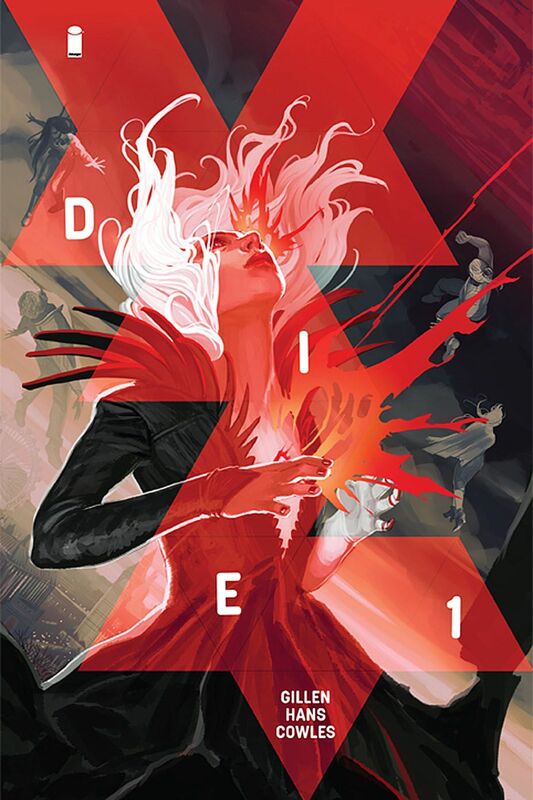 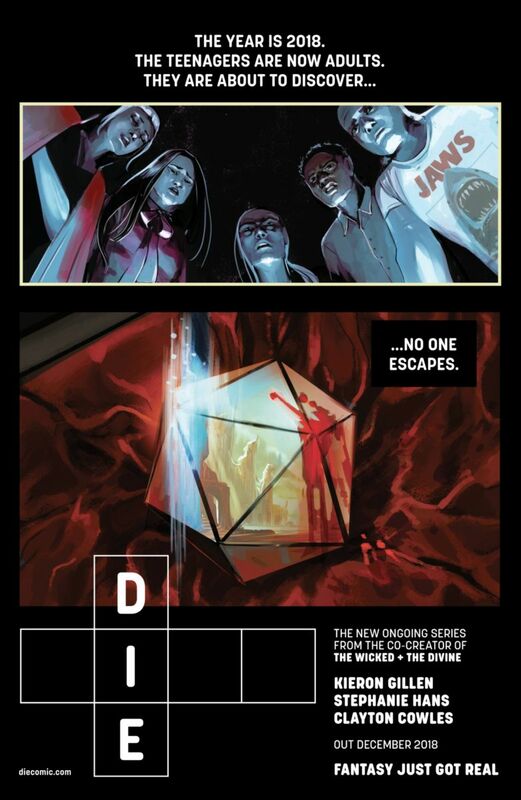 DIE #1 Cover A by Hans (Diamond Code OCT180012) and DIE #1 Cover B by Jamie McKelvie (Diamond Code OCT180013) will be available on Wednesday, December 5th.